Denton, 1984. After a morning’s betting at the races, bookmaker George Price is found in his car, barely alive with a bullet in his head. As he’s rushed to hospital, Detective Inspector Jack Frost and the Denton police force start their hunt for the would-be murderer. But with a long list of enemies who might want the bookie dead, the team have got their work cut out for them. And with a slew of other crimes hitting the area, from counterfeit goods to a violent drugs gangs swamping Denton with cheap heroin, the stakes have never been higher. 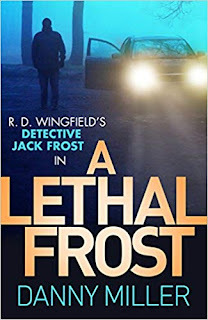 Will Frost find the answers he’s looking for before things go from bad to worse?